Our team at Clean Teen Publishing is excited to share this official cover reveal for Minutes Before Sunset by Shannon A. Thompson. This exciting new, young adult paranormal series will keep readers enthralled through to the last page. Check out the cover and make sure to shoot us a line or two with your opinions. We love to hear what you think! Add Minutes Before Sunset to Goodreads. WANT TO JOIN THE DARK? 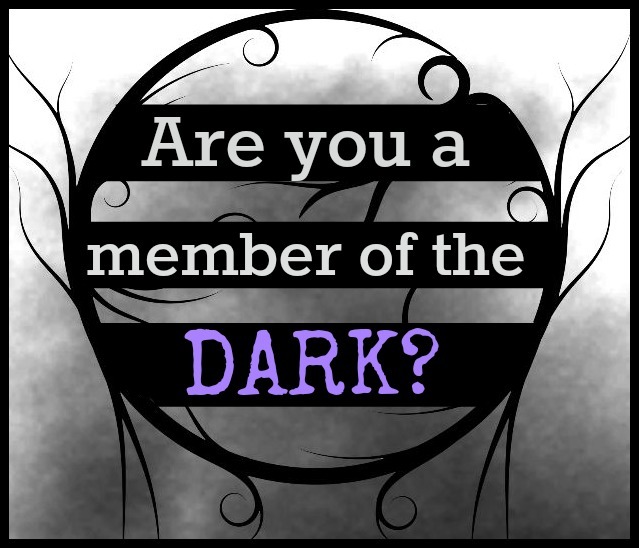 A Message from Author Shannon A. Thompson: We are recruiting for the Dark, so if you want to become a member, email me at shannonathompson@aol.com! You will also get a fancy badge like the one to the right, but it will say “Member of the Dark” instead. Shannon A. Thompson is a twenty-three-year-old author, avid reader, and habitual chatterbox. She was merely sixteen when she was first published, and a lot has happened since then. Thompson’s work has appeared in numerous poetry collections and anthologies, and her first installment of The Timely Death Trilogy became Goodreads’ Book of the Month. As a novelist, poet, and blogger, Thompson spends her free time writing and sharing ideas with her black cat named after her favorite actor, Humphrey Bogart. Between writing and befriending cats, she graduated from the University of Kansas with a bachelor’s degree in English, and she travels whenever the road calls her.